Credit / Debit Card Payments - We accept Visa, Visa Debit, Visa Electron and Mastercard. Payments are done through SagePay and we don't store any card details on file. To make a payment by card please call 01454 273463. 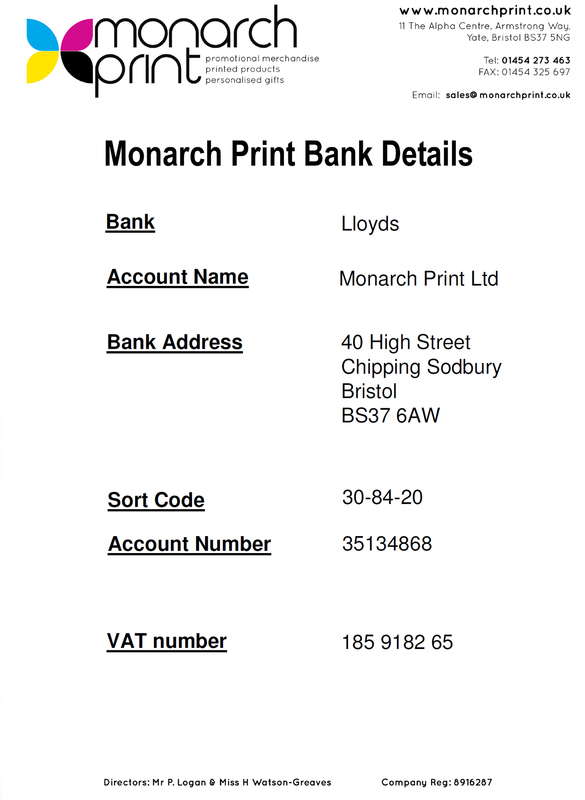 Cheques - If you wish to pay for an order by cheque our bank details are provided once you place an order. To pay by cheque, you can post a cheque to us through the post. If you choose to post a cheque to us (our address is below), you do not need to enclose any documentation - you simply need to write your full name and company (if applicable) on the back of the cheque and post it to us. A bank transfer is a free method of paying and usually arrives into our account no later than the next working day after payment is sent. Orders will only be processed once the exact order amount has been received.